As the owner of the Pennyroyal Saloon and Hotel, Lorraine Berry is privy to almost everything that goes on in Bitter Springs, Wyoming—including the bloodshed plaguing its citizens. 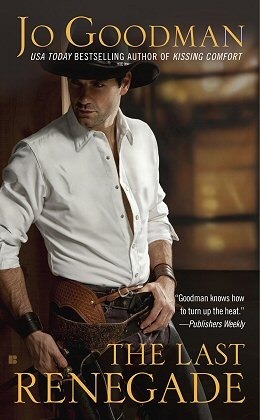 With all of the good men dying at the hands of a local rancher and his three sons, Raine hires a shootist to be the town’s protector. But her handsome new employee is more than a hired hand; he’s a man who keeps his guns close and his secrets closer. This book was a little slow for me at first. I mainly think it was due to the fact that it was my full length western novel I've read. It took a little bit to get into 'character' in order to understand the lingo and old Western talk. But once i caught on the book became really interesting. I went to bed dreaming about gun slingers, Cowboys in cowboy hats and boots and whiskey. The ending was not expected and it really made the book worth the read. So go pick it up and enjoy!